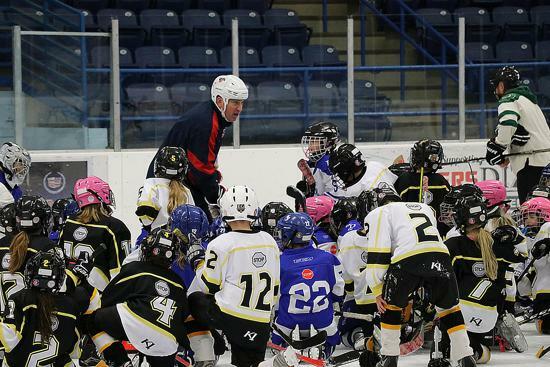 VIRGINIA, Minn. – Keep the kids moving. 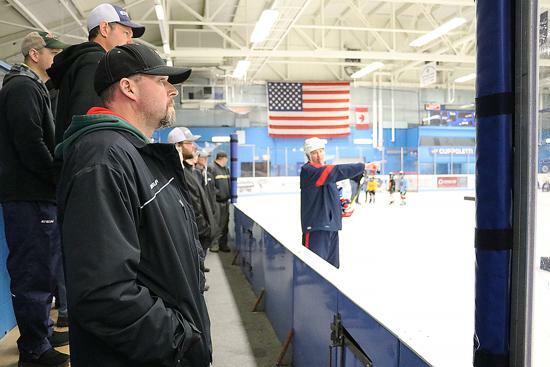 That’s the philosophy USA Hockey’s American Development Model regional manager Roger Grillo shared with coaches during Minnesota Hockey’s recent District 12 8-and-Under Jamboree and USA Hockey Level 1 Coaching Education Clinic. 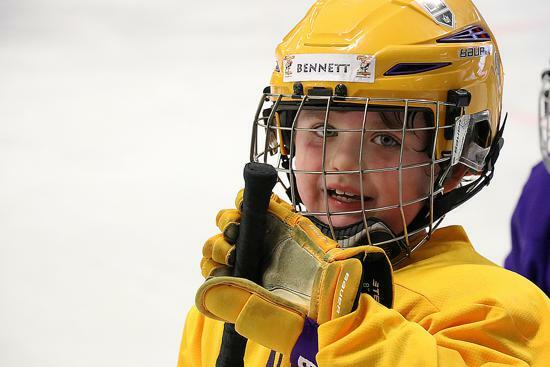 The combined-purposed event took place on Minnesota’s Iron Range – just a short drive from the United States Hockey Hall of Fame Museum. 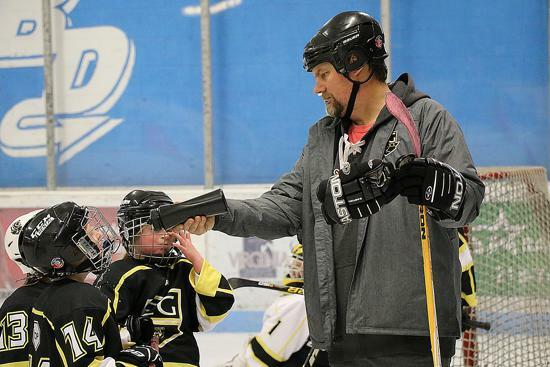 On the Virginia High School Blue Devils’ home ice, a multi-generational team of experts taught coaches how to use exciting, station-based activities to maximize and disguise skill development. 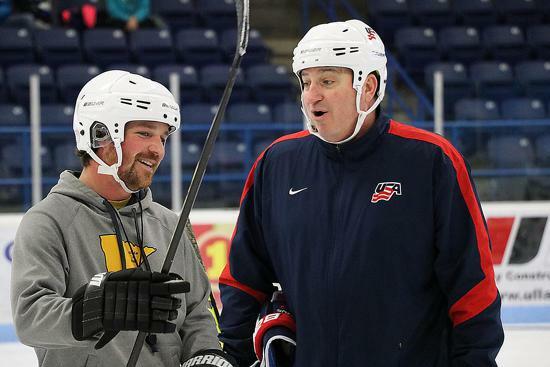 Grillo and Mark Tabrum, USA Hockey’s director of coaching education, were joined at the event by former professional defenseman and Iron Range native Grant Clafton, now Minnesota Hockey’s District 12 associate coach in chief, and other hockey experts including Mike Sertich, who amassed 375 NCAA Division I coaching victories and earned the Spencer Penrose Award as national coach of the year during his 21 seasons as a head coach at the University of Minnesota Duluth and Michigan Tech. 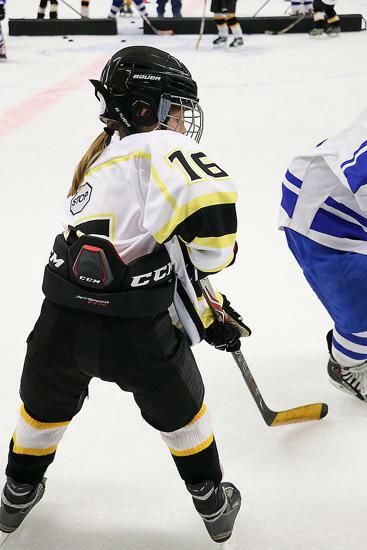 USA Hockey’s ADM is designed to keep players passionate about hockey through age-appropriate, age-specific training and competition. 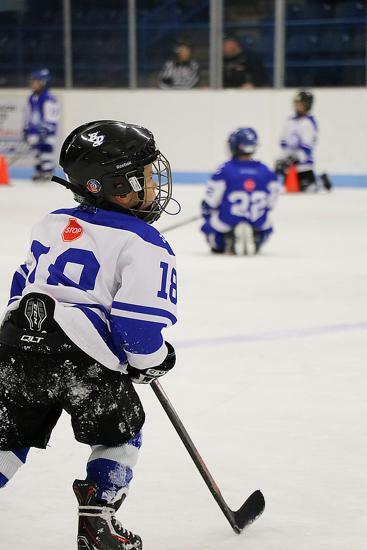 Over time, the ADM’s high-performance training blueprint helps each child reach their full long-term potential, helping them play, love and excel, while at the same time strengthening the game in America. 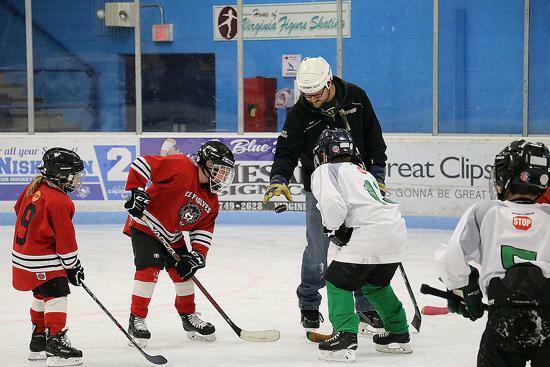 Approximately 200 kids from 10 Iron Range communities participated in the day of station-based practices and half-ice games, including teams from Virginia, Eveleth, Coleraine, Ely, Grand Rapids, International Falls, Aurora-Hoyt Lakes, Hibbing and Virginia.